Despite a number of her staff confirming the singer-songwriter's status as the title theme performer for the new James Bond film "Skyfall" in recent weeks, and even snippets of lyrics being leaked, perhaps the following nugget will convince any hold outs about Adele's involvement. 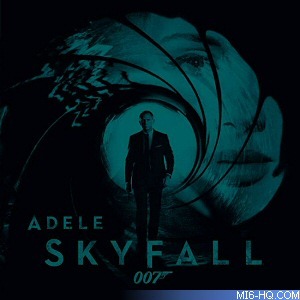 Below is the first look at the cover artwork for Adele's single. Although it is titled 'Skyfall', there has been some speculation that the full title for the song will be "Let The Sky Fall". It has not been confirmed yet if the track will have a traditional CD single or if it will be a digital release only.